Facebook’s Collection Ads have helped millions of companies boost their sales and drive discovery. The social media giant initially opted to go with image ads. But with video ads proving to be better at conversions, Facebook Collection Ads were soon launched. Collections Ads appear on the user’s News Feed and can showcase a video, a photo, or a slideshow with four affiliated images. Collection ads resemble a landing page. When users tap on the ad, they’ll be able to access a video or a fullscreen Canvas ad that shows more content. Businesses can pair their Collection Ads with other Canvas templates depending on their brand’s objective. More importantly, these ads have proven to be very lucrative for businesses. One company reportedly earmarked $177,000 for a Collection Ads campaign and received $1.2 million in sales. Big name brands like Adidas and Tommy Hilfiger had also reduced the cost of their Facebook marketing campaigns by as much as 40% while seeing their sales ROI doubling or tripling. Facebook has been particularly keen to point out how effective their ads have been for retailers during the recent holiday. The company reportedly saw mobile conversions rise to 64% on Cyber Monday last year. That was a major improvement from the 43% increase it had in 2016. Facebook says this boost in conversions is due to their Collection and Dynamic Ads. While Facebook’s ad offerings were undoubtedly a big factor, several companies believe it’s not the only reason why their holiday campaigns were a success. One such company, Wayfair, revealed that it did use Facebook’s Dynamic Ads and acknowledged that it was partially responsible for the brand’s 53% sales growth during the Thanksgiving holiday. However, Wayfair’s vice president of marketing, Bob Sherwin, also pointed out that their brand also has a very strong and loyal customer base and that they are always in touch with their customers. Because of that, Wayfair has also made it a point to work with other social media platforms like Google and Pinterest. There are many other companies who followed the same approach of using Facebook ads while also utilizing Instagram and other platforms. However, the majority also admit that Facebook Dynamic and Collection Ads did help in reaching more people during last year’s big shopping seasons. Facebook is hoping that retailers and other businesses will utilize what they learned during the last major holiday and simulate it with their other ads. Nada Stirratt, Facebook’s vice president of global marketing solutions in North America, says marketers should think about how they can further use Facebook and sister company Instagram to drive in-store and online sales for the whole year. 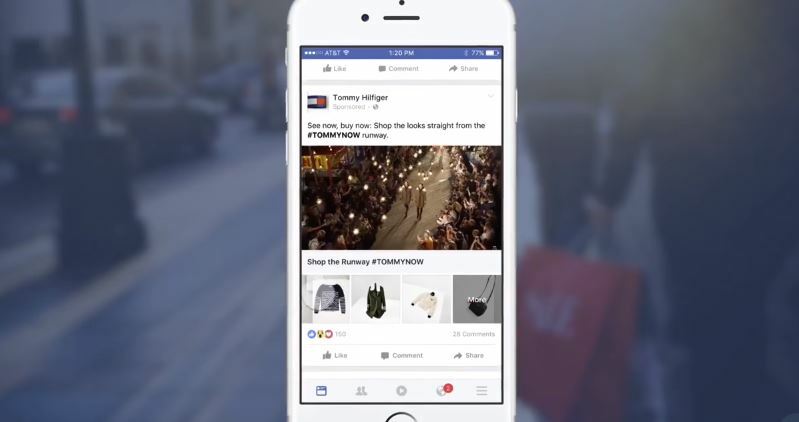 Facebook is apparently hoping that video will play a bigger role in future ad campaigns. According to Stirratt, there’s a multitude of ways for companies to flex their creative muscles when using short-form video on mobile devices. Marketers would also do well to start thinking about video as more than just a branding tool. Video can also be a force to reckon with when it comes to merchandising.